My rating: 9/10. Excellent watch. Eco-Drive technology. Today I’m doing a Citizen BM8240-03E review. The large majority of Citizen’s watches now feature this Eco-Drive technology. The Eco-Drive movement is designed to convert artificial and natural light into energy to power the watch. This means you’ll never be required to change a battery, a great little money saver. 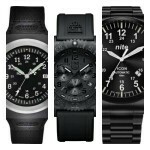 I’m a big fan of this technology and am always happy to recommend Citizen’s Eco-Drive watches to friends. The BM8240-03E has a fairly simple dial design that has a very uncluttered smart feel. There’s a day and date display, however, the dial lacks any form of luminous features so it may be harder to read at night. 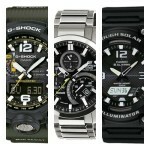 When it comes to sizing it’s a little smaller that a lot of the larger watches you see around these days. The casing diameter is 36mm with a thickness of just 9mm. Perfect for people who prefer smaller watches. I think this watch offers very good value for money, it’s smart, features Eco-Drive technology, and it’s a well-built timepiece by Citizen. You may also like my 21 best watches under £200 for men. Band Soft genuine leather strap, standard length, 18mm width, standard buckle style clasp. Case Stainless steel casing, sizing diameter: 33 mm and thickness: 10 mm. Dial Analogue display. Day and date display. Mineral glass is specially hardened to resist scratches. Citizen’s Eco-Drive technology is very impressive, utilizing any form of light, be it natural or artificial to power itself and save you from ever changing a battery. The dial has a very simple design that’s fairly easy to read. Perfect for people seeking a smaller watch with its 36mm case diameter. This watch doesn’t have any lume features so it may not be so easy to read in dim lit conditions. If you’re after a larger style watch, then this may not be suitable for you. 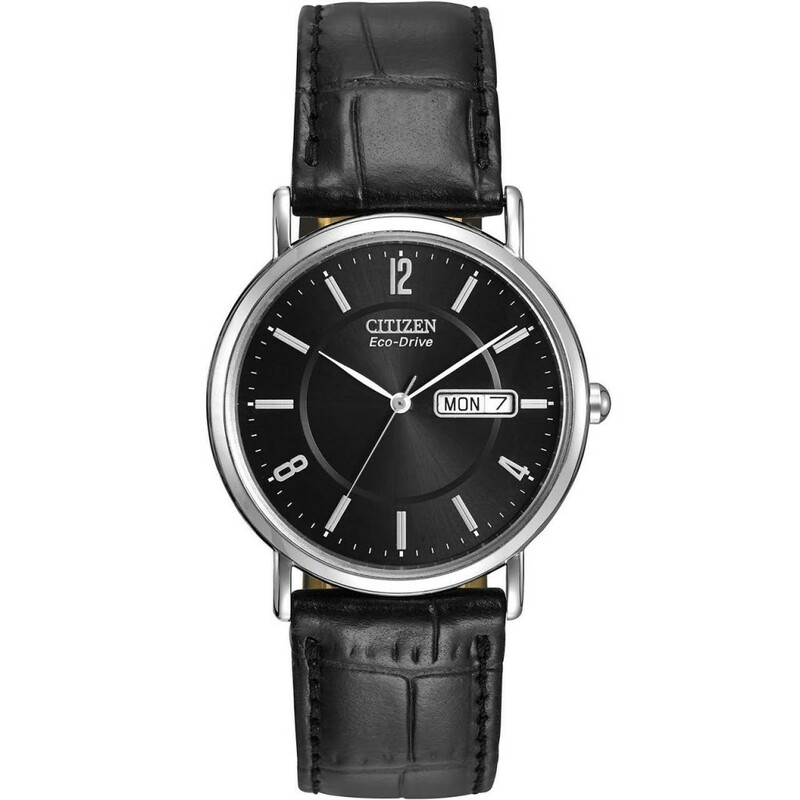 The Citizen BM8240-03E is a rather stunning looking, smartly designed watch that I’d say is perfect for day to day wear due to its affordable price. The Eco-Drive technology is a massive bonus in my eyes and it’s great that Citizen has included this with the majority of their latest watches. Overall this is a watch I’d happily recommend to family & friends and it’s a well-earned 9/10 from us at The Watch Blog. 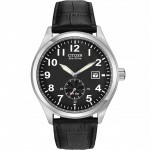 Hope you enjoyed this Citizen BM8240-03E review. Find more watch reviews below. Casio Tough Solar Watch Review – Are They Good?